Are you looking for a new way to think about time? Perhaps you'd like to improve your time management skills? Or maybe you're looking for new strategies to save time and stay focused? If any of these sound like you, the Career Development committee invites you to join Steve Aguirre, WG'13, for an interactive workshop exploring The Psychology of Time. This engaging session will feature exercises, discussion and frameworks. Watch the short video at right to get a sense for what you can expect to learn. Similar to Steve's TEDx talks on the power of questions and keeping people engaged, this session is sure to be dynamic, practical, and fun! 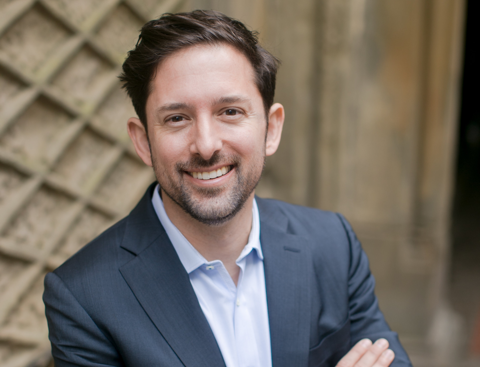 Steve Aguirre is Founder and CEO of Real Fun Growth (RFG), a leadership consultancy focused on the skills that matter, specifically those around communication, leadership, and mindset. Steve coaches, speaks, and facilitates workshops with senior executives from major banks, hedge funds, private equity, professional services, and Fortune 500 companies. Steve earned his BA from UC Berkeley and his MBA from Wharton, where he served as President of the Comedy Club and as a Leadership Fellow. Registration is subject to availability and will close on Monday, April 22 at 4PM- No Exceptions!